Hey guys! I have a new collection from Cirque Colors to share today. 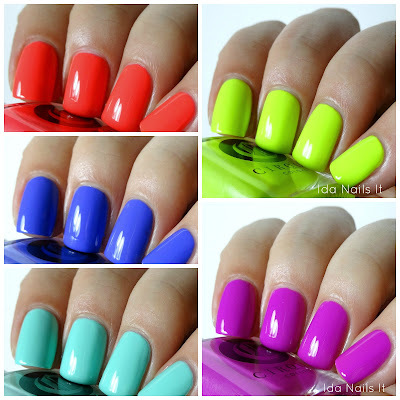 It wouldn't be summer without neon polishes and Cirque releases some of my favorite neon polishes. Last year, we were introduced to the 2015 Vice Collection, for this summer 2016, there are five new seriously bright colors in the seasonal Vice Collection. EXCITEMENT. The Vice 2016 Collection launches on Friday June 24th in Cirque Colors' shop. 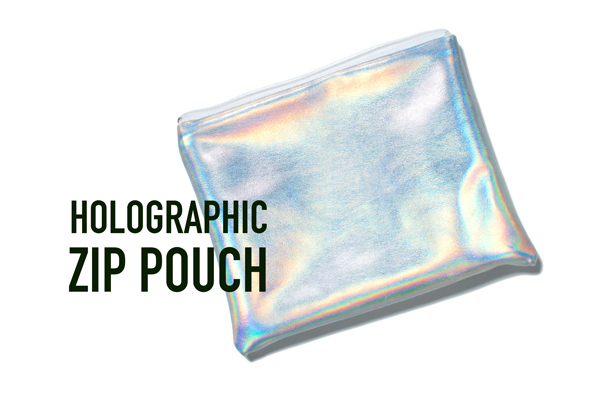 They will retail for $13 each and if you purchase the all five neon cremes you will receive a complimentary holographic pouch (shown below), while supplies last. *insert all the exclamation points here* Hands down, my favorite of the collection. It's not just a standard neon yellow but chartreuse. The formula applies like so well, for all the polishes in fact. This was just a tad less opaque, I had a bit of patchiness so I applied one more thin coat and got full coverage that way. Also, matte it. DO IT. I had this on for about four days with matte topcoat and it was perfect. Beautiful! I am getting a very pool worthy feeling from this color, wouldn't you agree? Two easy coats for coverage. Hot pink in all its glory! It has a bit of purple in the color, which I really love. Formula and application, I can't speak highly enough for how well it went on. Blurple you trickster, you strike again! Not quite as neon bright as a few of the others but still a bold, saturated color and like the others, easy application. This is so. very. VIVID. I have it on my toes now and it glows so brightly. Application, well I will just say it's just like the others aka, easy peasy. This is re-released polish, it was also included in the 2015 Vice Collection release. No change but if you missed it the first time, you will definitely want to get it this time around. I have it shown over black so you can see how much dense that holo flame is and then I applied it over each of the other cremes in the collection, one coat over all the polishes. Nail art! You knew this was coming, right? With such wonderfully coordinated polishes I had to come up with something. 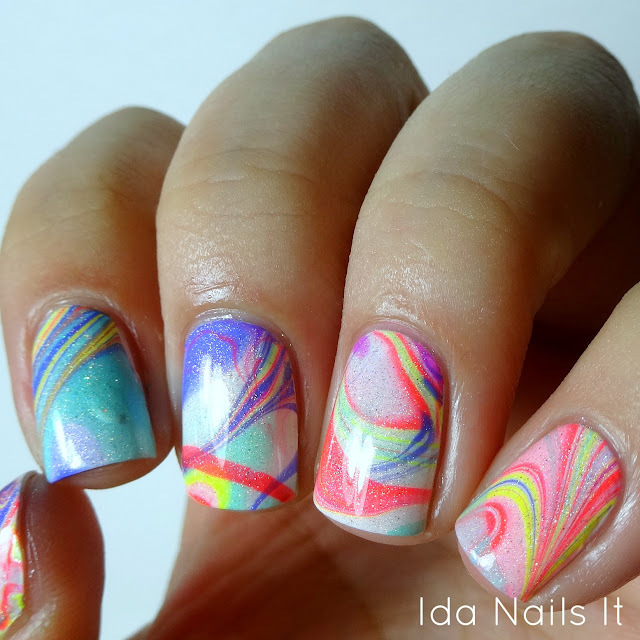 Cirque polishes marble really well, so I ended up doing an abstract water-marble, some of the nails I double dipped. As if your swatches weren't amazing enough you throw in an in-freaking-credible watermarble too?? haha well I had to! They were just begging to be used that way. And thank you!